Blog: The "Why Not 100"
In the year 2043, a renowned inventor unveils his master creation -- five scientifically-spawned baby dragons. He leads them to a home, schools them in survival skills and hints at the magic that surrounds them. But can any creator retain total control over his creation? DRAGON VALLEY is an epic tale covering 1,000 years in the evolution of the dragons and their magical valley. For more about DRAGON VALLEY visit Luke's website www.dragon-valley.com. “The image in Christopher Paolini’s rear-view mirror is a fast approaching superstar to the genre of fantasy writing. 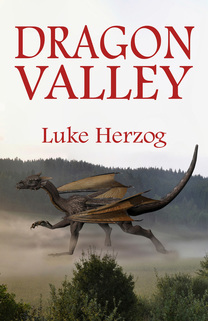 Luke Herzog’s debut novel Dragon Valley flies at breakneck pace as a new clutch of dragons struggle in their (timeless) quest of good versus evil. Sprinkled with symbolism, readers will love taking flight with this fresh cast of characters.” -- Mike Shoulders, author of Say Daddy! "It is rare to find such an imaginative, well written story from a first time author! When Albert Einstein said, ‘Never stop thinking like a child,’ this is what he meant!! Delightful, creative storytelling! I hope his second book isn't far behind!" "What a treat! What an imagination! An epic story of scientifically-spawned dragons fighting to survive. 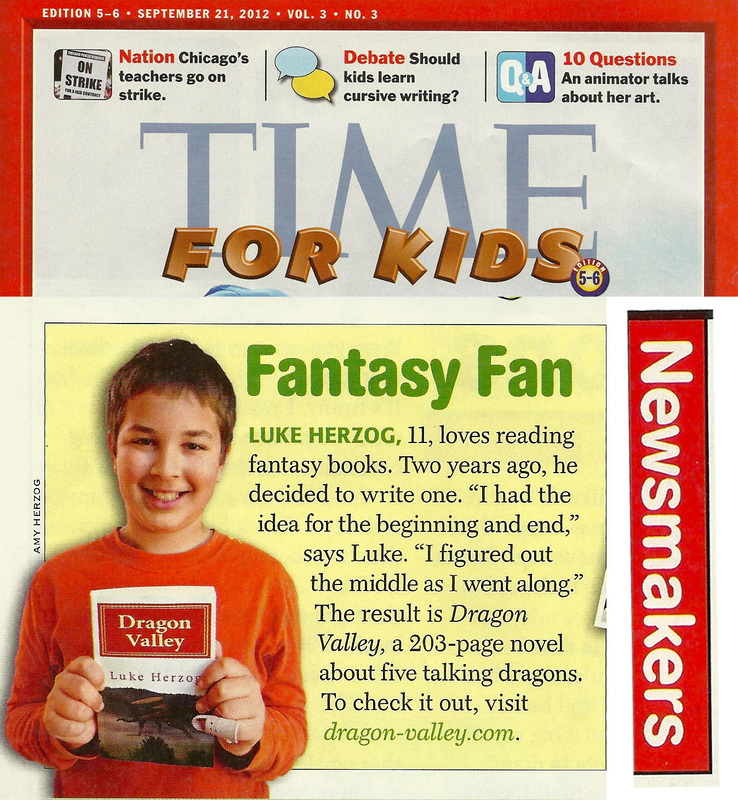 Writing a novel isn't easy -- for Luke Herzog to write one before entering middle school is simply amazing!" Luke was featured in Time for Kids! Watch the author on TV! © 2016 Why Not Books.